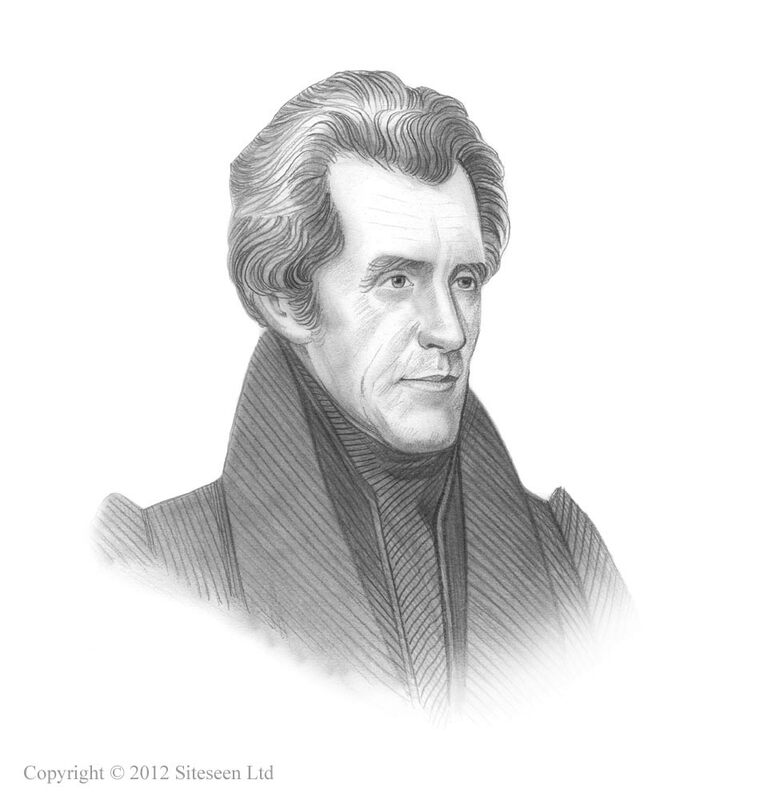 Battle of the Alamo: Andrew Jackson was the 7th American President who served in office from March 4, 1829 to March 4, 1837. One of the important events during his presidency was the Battle of the Alamo. Summary and definition: The Battle of the Alamo was a 13 day siege at a mission in San Antonio that was fought between February 23, 1836 – March 6, 1836 by Mexican forces of about 4000, under President General Santa Anna, against a handful of 180 American rebels fighting for Texan independence from Mexico. The battle was won by the Mexicans but the 13 days gave General Sam Houston time to build and develop his Texan Army at San Jacinto who were motivated by the courage shown, against all odds, by their fellow Texans. Battle of the Alamo History for kids: Where is the Alamo? Battle of the Alamo History for kids: What was the Alamo? The Alamo was originally a former Roman Catholic Franciscan mission and fortress built in 1718, called the Mission San Antonio de Valero. In the early 1800s Spanish troops were stationed in the abandoned chapel of the former mission. The garrison stood in a grove of cottonwood trees and the Spanish soldiers gave it the name "El Alamo" (the Spanish word for cottonwood) and to remind them of Alamo de Parras, their hometown in Mexico. When was the Battle of the Alamo? Who won the Battle of the Alamo? The Texas Revolution began with the battle of Gonzales in October 1835. The Battle of the Alamo was a 13 day siege fought from February 23 1836 and March 6, 1836 between a handful of 180 American rebels, fighting for Texan independence from Mexico, who were in the Alamo against Mexican forces of about 4000, under President General Santa Anna. The Battle of the Alamo was won by the Mexican Army. Why was the Battle of the Alamo significant? The 13 day siege at the Alamo gave General Sam Houston time to build and develop his Army at San Jacinto. Texans were inspired by the bravery of the rebels and the battle cry of "Remember the Alamo" spurred the small number of Texan soldiers to fight the large Mexican Army. Ultimately, the Texans defeated Santa Anna's Army and Texas won it's independence from Mexico, becoming the Republic of Texas on April 21, 1836. Battle Cry of the Alamo: "Remember the Alamo!" The Battle cry "Remember the Alamo!" was a reminder of the courage and sacrifice of the men who perished at the siege and a rallying cry to all Texans. General Santa Anna had declared that the Mexican Army would take no prisoners. The rebel Texans knew that they had no hope of winning the siege and that death awaited all of them. The phrase "Remember the Alamo" is so important to the history of Texas that it is still proudly displayed on the reverse of the Texas State Seal over the picture of the mission. The central images reflect important Battles in the Texas Revolution. The famous battle cry ensures that the bravery and patriotism of the defenders in the old mission at San Antonio will never be forgotten, nor their cause for liberty and the freedom of Texas. There were a few of people who survived the bloody siege. Civilian non-combatants such as women, children and cooks were spared including Susannah Dickinson, the wife of Captain Almaron Dickinson and her baby daughter Angelina. A handful of Texans were also spared. General Santa Anna sent these men to Sam Houston’s camp at San Jacinto as a warning that a similar fate awaited the rest of the Texans if they continued their rebellion against Mexico. Colonel William B. Travis: "Victory or Death"
Colonel William B. Travis wrote a letter addressed "To the People of Texas and All Americans in the World" marking the envelope with the words "Victory or Death" - William B. Travis Victory or Death letter. Please take a minute to read the letter, it is regarded as one of the most heroic letters ever written. The following fact sheet contains interesting facts and timeline on Battle of the Alamo. The Texas Revolution began in October 1835 with the Battle of Gonzales. February 24, 1836: William B. Travis writes his Victory or Death Letter to the closest town at Gonzales. He vows "I shall never surrender or retreat." March 6, 1836: Only a few Texans survive the bloody siege of the Battle of the Alamo. Civilian non-combatants such as women, children and cooks were spared. March 6, 1836: A handful of Texans were also spared who were sent Sam Houston’s camp at San Jacinto as a warning that a similar fate awaited the rest of the Texans if they continued their rebellion against Mexico.